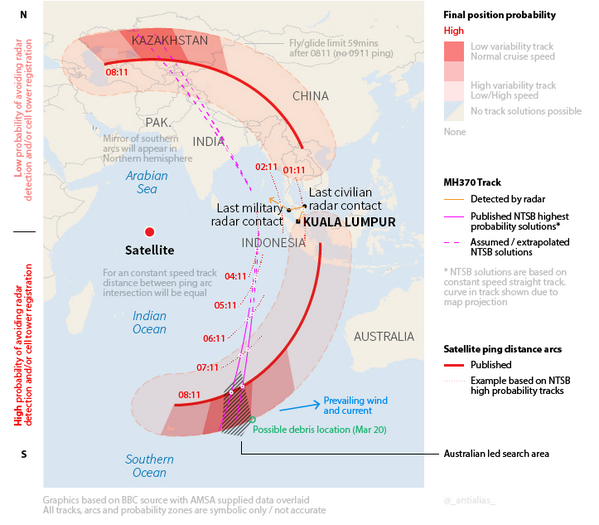 The Chinese government on Saturday, March 22, 2014 has spotted floating object in the wider “southern corridor” search area, that stretches across huge swathes of the Indian Ocean. The possible debris seen in a satellite image measures 22 meters by 13 meters. It was seen by a Chinese satellite, Malaysia’s Defense Minister Hishamuddin Hussein told reporters at the daily news briefing in Kuala Lumpur on the two-week-long search for the missing Malaysia Airlines Flight MH370. 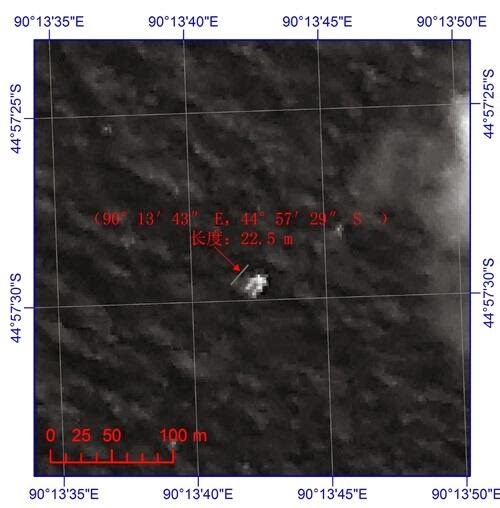 A grainy image was tweeted by China’s state television company CCTV: "China’s SASTIND has detected suspected a floating object 22m-long and 13m-wide in southern Indian Ocean.#MH370 ." China’s government later said the object was spotted around 75 miles west of objects spotted by satellites earlier this week. China was sending ships to the area to investigate and would be giving more information later, Hishamuddin said. Meanwhile, Australia took advantage of better weather to expand the search for the missing Malaysia Airlines jetliner on Saturday. The search for the missing plane has now entered a third week but more than two dozen countries have so far turned up little but frustration and fresh questions about Flight MH370.